Background: Micronutrients deficiencies are common in HIV-infected individuals and have been associated with increased morbidity and mortality. In this short report, we aimed at evaluating the prevalence of vitamin D, vitamin B12 and folic acid deficiency in individuals attending the Outpatient HIV Clinic of the Garibaldi Nesima Hospital of Catania. 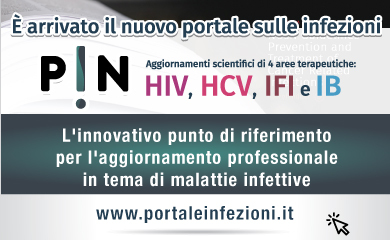 Patients and Methods: In this cross-sectional study, we consecutively enrolled HIV-positive individuals attending the HIV Outpatient Clinic of the Division of Infectious Diseases in Catania, Italy. Micronutrients and other laboratory data were extracted from the medical records. Results: 299 individuals were included in our analysis, median age was 46 (39-54) years. Median time since HIV diagnosis was 132 (46-228) months. Median CD4+ T-cell count was 568 (414-713) cells/μl, 83% had an undetectable viral load. Hypovitaminosis D was highly prevalent, with 37% of patients having vitamin D levels <20 ng/ml. On the contrary, only 5.4 and 0.7% of subjects had vitamin B12 and folic acid deficiency, respectively. Conclusions: Vitamin D deficiency is highly prevalent in HIV-positive individuals and requires appropriate screening and supplementation to maintain skeletal health. More research is needed to assess the impact of vitamin D supplementation on the prevention of other non-AIDS-associated comorbidities.